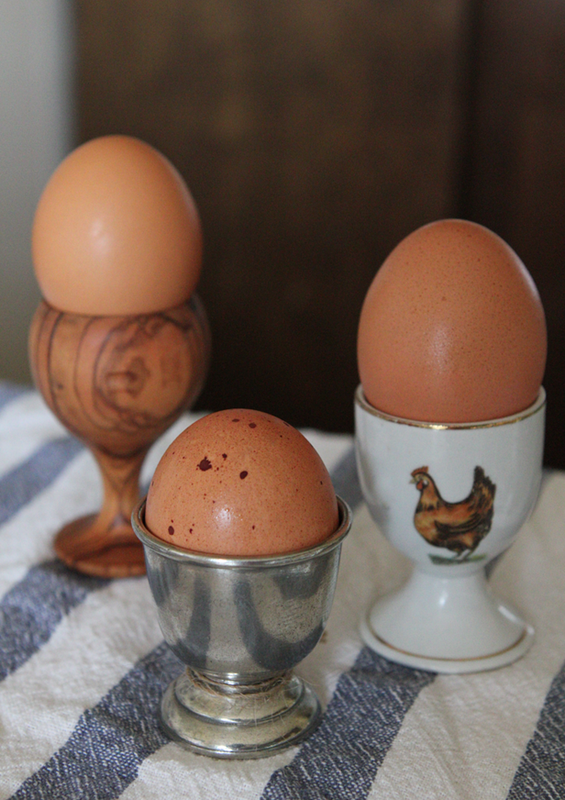 After purchasing one egg cup in Europe, I have begun a small collection. Mom and Dad helped me along by giving me olive wood, pewter and white porcelain cups as gifts. Now I'm ready to host a big breakfast (mostly consisting of soft boiled eggs), if anyone would like to join. I got some cute speckled eggs in my carton last week, and with it being springtime and the Easter season, I thought now would be a nice time to photograph them.